The game for curious students. We worked with more than 3000 students over 12 months to build a game that offers students a fun way to build empathy and curiosity. 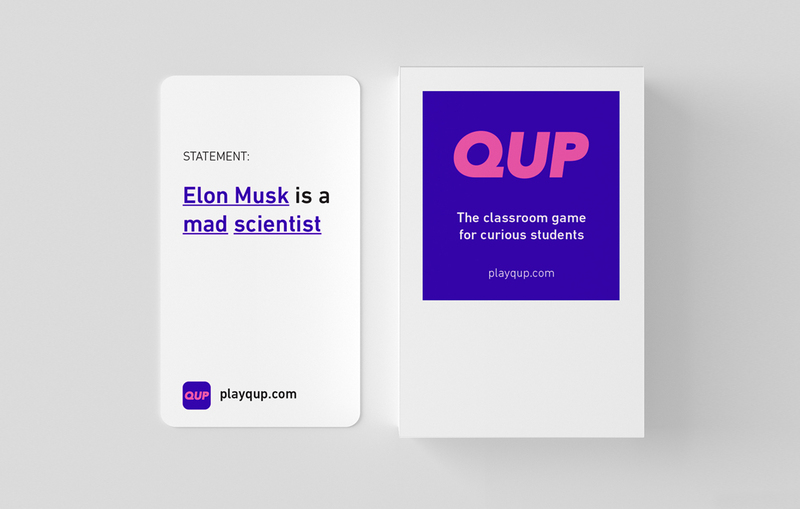 The QUP Starter Deck comes with 50 unique problem statements for your students to begin practicing their curiosity and empathy. Written by students, for students, the starter deck is grounded in pop culture references like Justin Bieber and SnapChat. We have q very competitive group of students so they were immediately drawn into the game. We are always fundraising for the robotics program at our school so QUP will be a useful tool. In my years as an Educator, I have never witnessed students as engaged as they are while playing QUP. An innovative and modern method for students to learn about social and ethical considerations while at the same time possibly fundraise. Build empathy and curiosity while playing for money... wherever you are.